Whether it’s a gift for a loved one, or simply something for yourself, our well stocked, exclusive shop caters for all tastes. 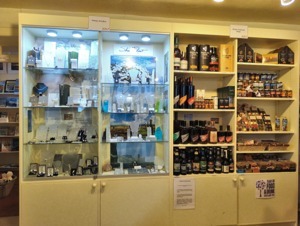 Skaill House shop offers a wide range of gifts, reflecting elements of the house, the family, the landscape, and the collections. 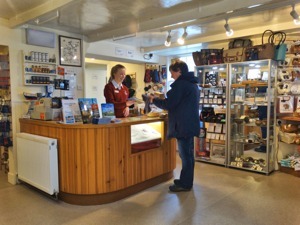 The shop also specialises in locally made food and drink, and local arts, crafts, jewellery, ceramics and knitwear. From delicious fudge and chocolates, and contemporary jewellery, to locally distilled whisky, and books and gifts to inspire and amuse, you’ll find something to suit every taste. Current local stockists include Orkney designer Kirsteen Stewart, Jewellery from Alison Moore, Frances Garriock and Sheila Fleet, Fursbreck Pottery, Eileen Sclater Art, Ingrid Grieve Art (Tournal Art Studio), Orkney Star Island Soap, Highland Park Whisky, Argos Bakery, The Island Smokery, Stockans Oatcakes and many more. In 2018, we started to stock even more local suppliers like Elaine Ward Knitwear, Claire Kirkpatrick and Fiona Scott ‘Peedie things’, to name just a few! 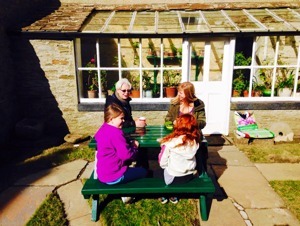 Enjoy an ice cold drink or an Orkney Ice Cream while you sit and relax in our sheltered 18th Century courtyard, or to take away as you explore the grounds and gardens of the House, or as you move on to your next destination. As well as ice-creams and cold-drinks there are many snacks, biscuits and treats available to purchase.